Germany is recruiting, especially in the MINT area: mathematics, IT, natural science, and technology. 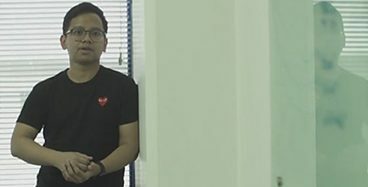 In 2016, Goethe Institute Jakarta produced videos depicting the lives of successful Indonesians who, at some point in their lives, had lived and worked in Germany before returning to Indonesia. The filmmaker Achmad Ubaidillah presents two Indonesian men and an Indonesian woman who answered the call to return home. In the videos they talk about their time in Germany, their work, their leisure activities, and their current work in Indonesia. Also covered in the video is what they liked about Germany and how they learned German. 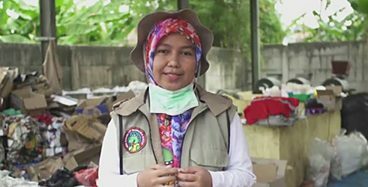 Ova Chandra Dewi held a position at the Technische Universität Hamburg-Harburg as a research associate and now works with the NGO Bina Ekonomi Sosial Terpadu in Tangerang. She is also a lecturer at Universitas Indonesia. Gabriel Kennenbudi worked for 7th Level in Munich, among other companies, and is now a consultant for a number of hospitals in Surabaya, East Java. Irzan Raditya worked in Germany as “Head of Mobile Products” at Lieferando.de/Takeaway.com. When he returned to Indonesia he founded his own company.